Community Supported Agriculture, or CSA, is a unique arrangement between consumer and farmer that is based on a relationship of mutual aid. CSA’s build community around food wherein the farmer and the shareholder share the risks and rewards of farming. There are many different CSA arrangements, but generally the customer pays the farm in advance for a share of the harvest, thus becoming a member or shareholder of the farm. The partnership allows the farmer to provide members with a wide variety of fresh and local produce while receiving much needed early season income. By joining, each member makes a commitment to support the farm and share the costs of production and the risks of crop failures. Members establish a connection with the food they eat, the land where it is grown, and the people who produce it. In return, the farmer commits to do their best to provide each member with a weekly share of the harvest throughout the growing season. For more information on CSA’s, take a look at www.localharvest.org/csa . IS A CSA MEMBERSHIP RIGHT FOR ME?
. . . then a CSA may be a great fit! Keep in mind, a local farm will never have the selection that you see in the grocery store. And even the best laid crop plans and most skillful farmers are still subject to weather extremes, pests, blights and all sorts of climatic conditions. Every week and every year are different – that is part of the excitement of a CSA! WHAT CAN I EXPECT IN YOUR SHARE AND AT THE MARKET? The items in your share and at the market will almost always be harvested the day before or same day you receive them. To get a sense of what will be in the weekly shares, take a look at the 2010 CSA Shares page. While the amount of produce varies throughout the season and from year to year, you can always expect a delicious array of seasonal eating. 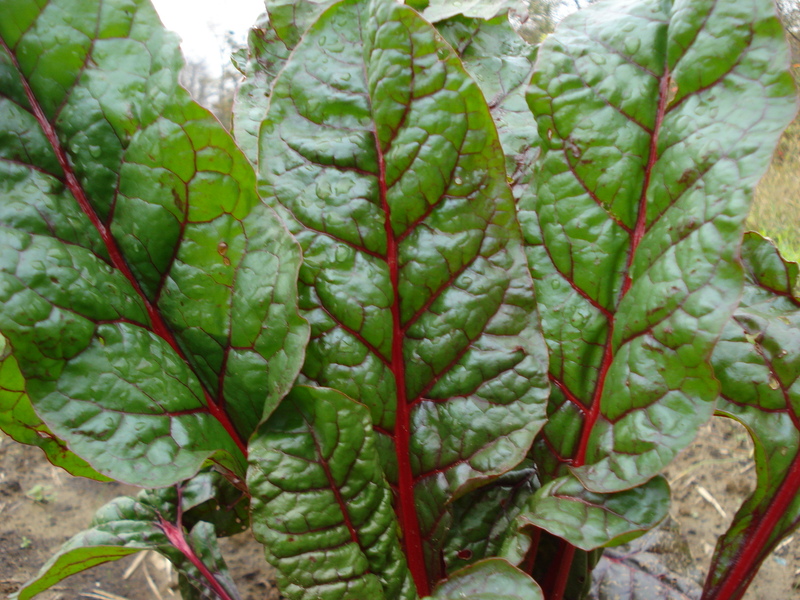 Generally, the spring consists of mostly salad greens, cooking greens, root crops and alliums, and as the summer crops come in, the variety widens and the shares get heavier (first beans, then squash, potatoes, tomatoes, and more). Fall returns us to roots and greens (salad, cooking and asian) and adds storage crops. Spring (May-June): Arugula, beets, bok choi, bunching onions, carrots, chard, collards, cabbage, garlic scapes and scallions, kale, kohlrabi, lettuce, peas, radishes, spicy mesclun mix, spinach, strawberries, tat soi, turnips, herbs, and seedlings. Summer (July-September): Basil, beans, chard, chili peppers, cucumbers, eggplant,garlic, okra, onions, peppers, potatoes, tomatoes, zucchini, yellow squash, herbs, and flowers. Fall (September–November): Remaining summer crops, plus bok choi, broccoli raab, broccoli, napa cabbage, carrots, chard, collards, escarole, garlic, fennel, lettuce, kale, radicchio, radishes, spicy mesclun mix, sweet potatoes, tat soi, turnips, winter squash (acorn and butternut). We do not require members to work on the farm. However, we greatly encourage community involvement and welcome members to volunteer at the farm with harvesting or field work. Please contact the farm directly if you are interested in volunteering and participating in growing your food. If you are interested in becoming a shareholder but have trouble affording a regular priced share, please contact us to discuss possible arrangements of a work trade option. Work shares are decided on a case-by-case basis. Also, if you have farm experience or a keen interest in learning and helping out a small farm business, contact us to discuss employment and trainee opportunities. Please see the volunteer tab for more information. What DOES RADIX FARM DO with excess PRODUCE? Throughout the season, Radix Farm donates produce to agencies that serve and distribute food to folks in need. We donate produce left over after our CSA pick-ups (so if you don’t make it to the pick up, the produce gets donated), we donate unsold produce after our farmers market, and other times when we have an excess of produce in the fields. Radix Farm – Radix Farm uses sustainable farming methods to grow a wide variety of vegetables and herbs for our CSA, local restaurants, and Farmers Markets in the Washington, DC area. Our Certified Naturally Grown farm follows organic practices and focuses on building a healthy ecosystem while growing delicious produce.